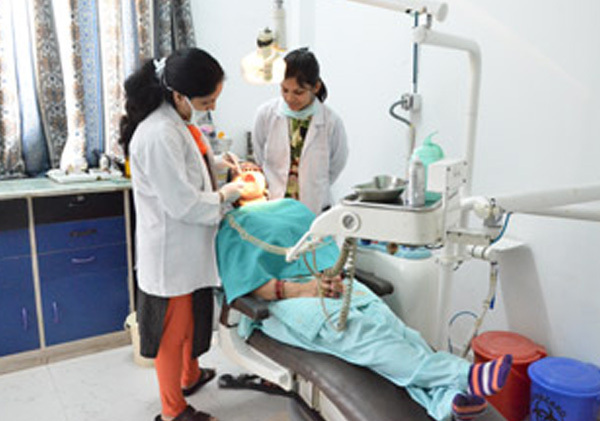 Dental facility is equipped with latest dental equipment and a fully functional prosthetic lab. All the dental procedures are performed with perfection and high level of patient satisfaction. It is continuously delivering quality treatment such as maxillofacial surgeries, motorized root canal treatment, removable orthodontic appliances and high impact resistance dentures apart from general and routine dental work. ENT facility caters both OPD and IPD services with experienced and qualified team of doctor, paramedical and nursing staff. For critically ill patients or post operative patients requiring intensive care, hospital has well equipped ICU and HDU facility. All minor surgery and major surgeries such as Tosillectomy, Septoplasty, FESS, Mastoidectomy, Tympanoplasty, Turbinectomy, Adenoidectomy etc are being performed routinely with excellent outcome. Medicine facility with core mission of quality patient care, is aiming at acute care, chronic disease management, preventive medicine palliative care and care of elderly patients. Apart from routine general Medicine work, it is also taking care of patients having disorders pertaining to cardiology, neurology, gastroenterology, nephrology, endocrinology etc. as far as the medical management is concerned. Timely and appropriate decision is made, if patient requires super specialty treatment. ECG facility is available within the OPD. For sick patients, facility of HDU and ICU is also available. Importance of timely investigations and reports play a vital role in deciding the line of treatment by the doctor. With this aim, SRMS Trust has established radiological and diagnostic Lab facilities under one roof so that patient does not have to go here and there for investigations. Radiological investigations such as 32 Slice CT Scan, Ultrasound, 2D ECHO, Digital X-Ray are available at very economical rates. Well equipped laboratories such as pathology, clinical pathology, microbiology and Biochemistry are made available round the clock to perform all kind investigations for OPD, IPD and critically ill patients. Histopathology, FNAC, Biopsy and tumor markers are also being done. Being one of the most active departments in the institute is no easy job. Unpredictable deliveries, exsanguinations emergencies, unearthly work hours – all are handled with ease and expertise by a team of dedicated doctors. Obstetrics and Gynaecology has been equipped with all latest and necessary instruments to handle complicated cases related to High risk pregnancies and infertility treatment. Hospital has dedicated 20 beds pre labour ward with attached Labour room for normal delivery and Baby resuscitation facility. Adjacent to the Labour room, NICU of 5 beds is also functional so that in emergency, neonate could be shifted immediately. NICU is also having separate room for breast feeding. Hospital has the dedicated OT for emergency delivery cases round the clock. New born baby are properly taken care by the Paediatrician. Several special efforts are being made in OPD for anemic cases, Ante Natal check-ups, cancer screening, menopausal, high risk pregnancy, infertility and counseling for family welfare. 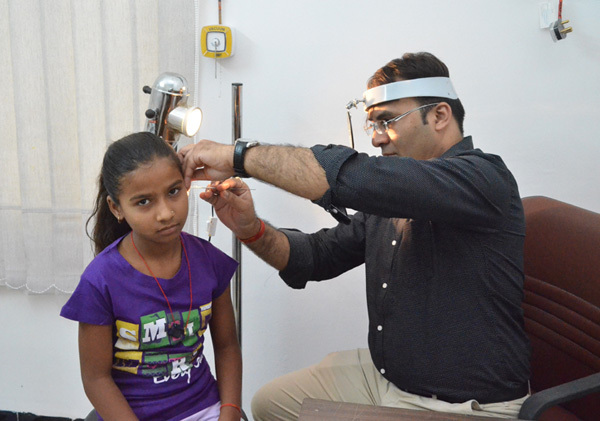 Ophthalmology facility is available in the hospital to cater OPD and IPD patients. 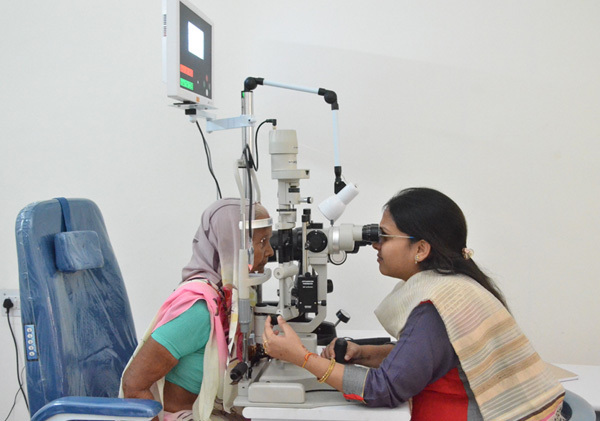 Patients for Cataract, Glaucoma, Squint and poor visions are being examined and managed in OPD routinely. 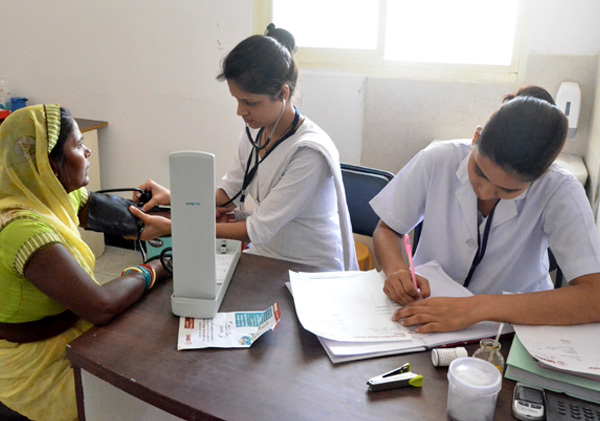 OPD is fully equipped with modern equipments such as Ultrasonography, Green laser, Field analyser, refraction etc. Cataract and Glaucoma surgeries are being performed regularly in fully equipped and modern OT.